Peter Thiel, a PayPal cofounder and one of the earliest backers of Facebook FB +0.49%, has been secretly covering the expenses for Hulk Hogan’s lawsuits against online news organization Gawker Media. According to people familiar with the situation who agreed to speak on condition of anonymity, Thiel, a cofounder and partner at Founders Fund, has played a lead role in bankrolling the cases Terry Bollea, a.k.a. Hogan, brought against New York-based Gawker. Hogan is being represented by Charles Harder, a prominent Los Angeles-based lawyer. Whatever you think of Gawker, Hulk Hogan, or Thiel himself, this is yet one more way in which extreme income inequality destroys civic life. It’s actually worse than many, given the clandestine way it deepens the corruption of the system that could (in theory) provide a check on the damage that purchased legislative and executive branches can do. Champerty, as third-party litigation funding used to be called (and should probably be called again!) was formerly a crime, but the commercial litigation finance industry has been growing in recent years. Generally, people avoid frivolous lawsuits because it often exposes them to as much scrutiny as those they sue, so what is significant about this case is that by funding Hogan behind the scenes, Thiel could get his revenge, escape exposure, and influence the outcome of the case. For the very rich, this is a win however it goes, and damn the collateral damage. Hogan’s lawyers made decisions against Hogan’s best interests, withdrawing a claim that would have required Gawker’s insurance company to pay damages rather than the company itself–a move that made Nick Denton, Gawker Media’s founder and CEO, suspect that a Silicon Valley millionaire was behind the suit. I leave it to the actual lawyers to weigh in on the ethics (and consequences, if any) for such a litigation approach. For myself, I’ll note that what you have here is an insanely rich guy gaming the legal system to destroy a media outfit that pissed him off. And with that, one more thought: Franklin Roosevelt created the social welfare state in the US as an alternative to revolution. Today’s plutocrats might want to think about that. In plainer terms: to remain democracies, modern democractic states need to tax polity-buying wealth out of individual hands; income taxes and a levy on inheritances. A 90% rate that kicks in well below an estate value of a billion bucks seems a good place to start. 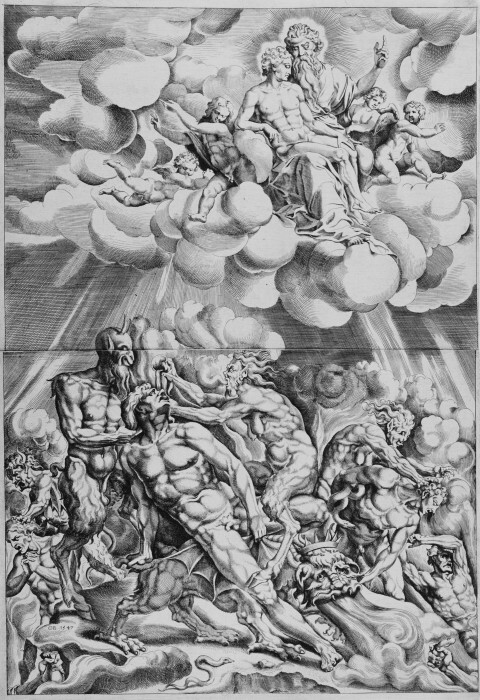 Image: Cornelius Bos, Lazarus in Heaven and the Rich Man in Hell, 1547. Categories: Law, libertarian nonsense, media, Who thought that was a good idea?